Our company also deals in heat exchangers for efficient heat transfer from one fluid to another and is widely applicable in various engineering processes. 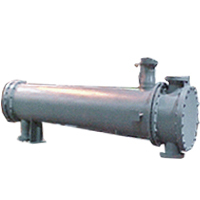 We offer shell and tube type heat exchangers with high level of performance. The calibration of heat exchanger ranges to about 300 m2.